Last year, during 6th Polish Citrix User Group Meeting in Cracow I had a presentation titled “Complete Citrix environment monitoring“. I know, that good and complete environment monitoring (both infrastructure and application layer) is a hard to achieve. In the past I used PowerShell scripts and RRDtool to monitor some part of the whole environment (ie. 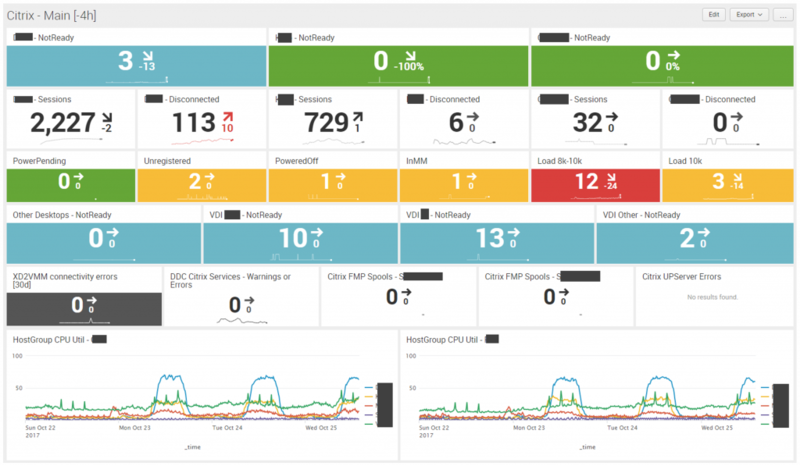 monitoring Citrix licenses). It was good, but it doesn’t cover the whole spectrum. That’s why I moved to Splunk. And finally, after almost one year (after PLCUG meeting) I decided to share some part of the scripts and help you to achieve the same as I did. If you think, that such monitoring is cool and useful, but you don’t know how to do this by your own. Or you don’t have enough time to to this, please contact me. I can consult it with you.